Bay Area Circuits, Inc., a leading quick-turn printed circuit board (PCB) prototype manufacturer, hosted a Manufacturing Day event on Friday, October 6th for the fourth consecutive year. The company opened its doors to give college engineering students a tour of its printed circuit board manufacturing operations and a look at the latest equipment upgrades and technological advancements in the industry. This year, Bay Area Circuits hosted 30 engineering students from Ohlone College, located in Fremont, CA. 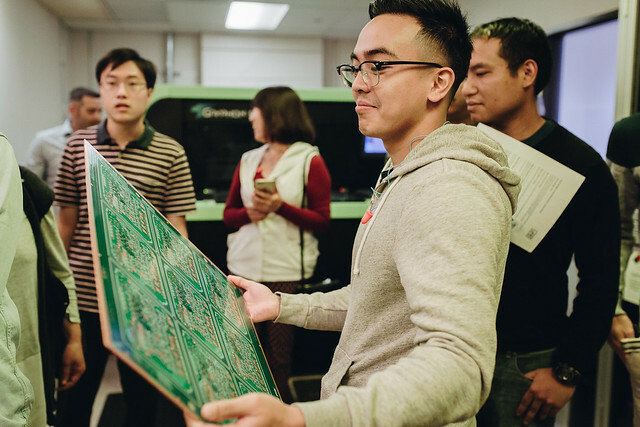 Students received a first-hand look at the printed circuit board manufacturing process, including the ingredients which have enabled the company to set the standard for quick-turn PCB prototype manufacturing.